Bizzybee have kindly given me a selection of their products to give to one very lucky winner. Why not check out their website at http://www.bizzybee.co.uk. You can become a fan on Facebook at https://www.facebook.com/Bizzybeeuk and follow them on Twitter https://twitter.com/bizzybeeuk. Entry is via the Rafflecopter form below. The competition will be running from 10.30am on 1st October 2012 until 4am on 31st October 2012. It is open to UK residents only, aged 18 years and over (you will be required to declare your date of birth in order to claim your prize). Winners will be drawn at random on 1st November 2012 from all valid entries. The purple rubber gloves are the best...comfortable and last for ages. 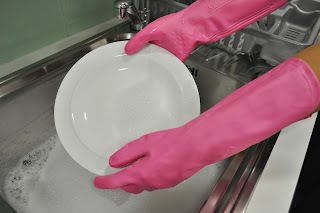 Their rubber gloves are great - thick enough not to tear easily, but thin enough that you can pick small things up. I don't i've tried any yet, but rubber gloves are always good. Well I'll opt for the rubber gloves as everyone else seems to rate them, although I've never used them myself. Purple rubber gloves look great! They do rubber gloves that have a scourer pad on one side - really handy! I love their microfibre cloths, they are so useful. ooh their cloths are divine!!! I haven't tried them but love the look of the gloves. Purple rubber gloves would cheer up anyone's washingup! All their stuff is fab, but I love the gloves with the scrubbers on the fingers. The scouring gloves look cool! I really like Bizzybee Multipurpose Gloves; they are great quality, don't split even with long fingernails, pretty colours, good grip, fit well and are very comfortable. The best on the market! I use their rubber gloves, they re very lightweight. Love the patterned rubber gloves! I can only comment on the purple multi-purpose gloves but they are fantastic so they are my favourite. Always used to hate using rubber gloves to wash up but am now officially a convert! Ive only ever used the rubber gloves, they are fab. The bizzybee scourers look good. I like the sparkly non scratch scourers, they last forever and are quite pretty. Also the microfibre cloths are really useful. I haven't tried any of their products, yet! I use the purple gloves, because if I'm doing something glum, I may as well look glam! 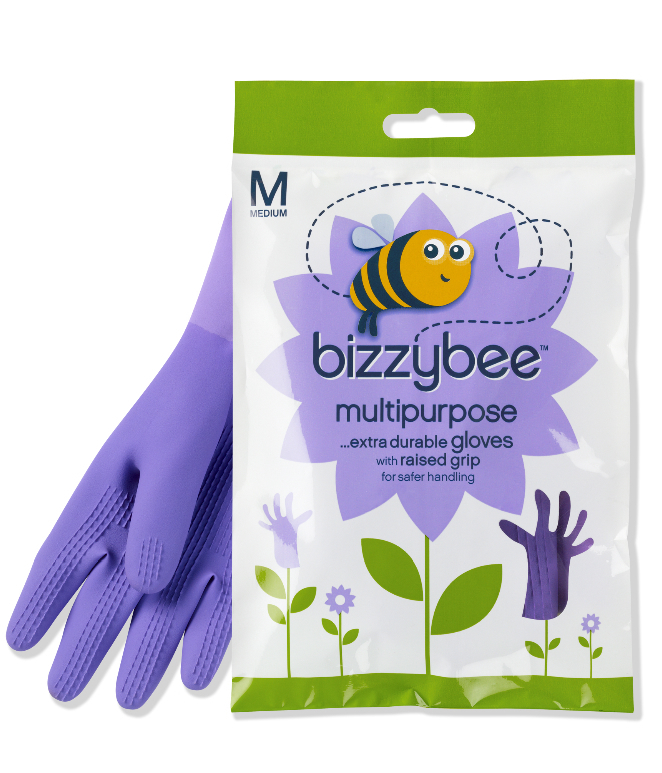 I love the bizzybee scouring gloves, great for cleaning sinks! Haven't tried their products but the rubber gloves look fab! its got to be the pair of rubber gloves i got, they are so think and are lasting much longer than the ones i used to use.